This clip art pack features cute cartoon bugs. 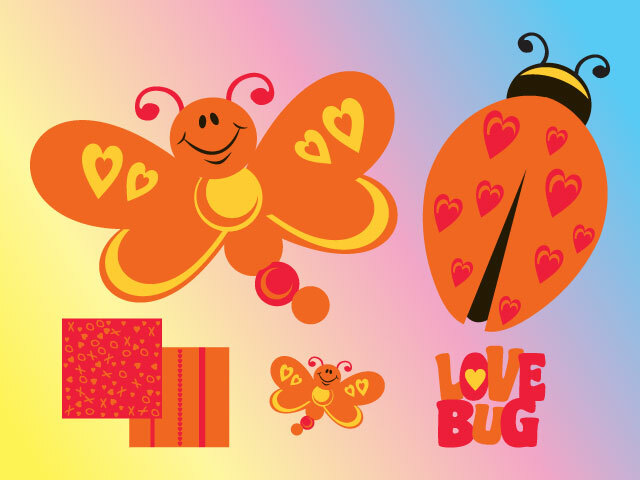 A ladybug and butterfly with love hearts, the copy "love bug" and two patterns make up this vector pack. Great graphics for textiles, greeting cards and invitations.